Active Server Pages (ASP) Classic is Microsoft's technology for building interactive web pages, using techniques similar to HTML authoring. It has been described as "the tool that will allow you to build an almost infinite number of web pages with only a few files". It is intended to be usable by relative beginners, but has the potential to be used for advanced developments by professionals. Still have websites running on ASP 3.0 or Classic ASP ?. Don't worry, we still support legacy technology like Classic ASP Hosting. You can also mix and match Classic ASP and ASP.NET code in one single web site. 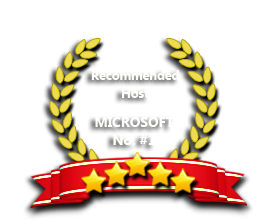 Our Windows Cloud Hosting fully supports Classic ASP hosting. You are more than welcome to try our Free Windows Cloud Hosting before you decide to buy. You can get your Free Cloud Windows hosting account up and running within the next few minutes.